The “Roseanne” spinoff “The Conners” premieres Tuesday, Oct. 16, on ABC. Even if “The Conners” is new, most people already know what the show is: “Roseanne” without Roseanne. After the sudden cancellation of last season’s enormously successful revival, prompted by a controversial tweet sent by title star Barr, ABC decided to continue the series in a sense with the other cast regulars and the behind-the-scenes staff. The resulting offshoot premieres Tuesday, Oct. 16, focusing on the relationships of such family members as Dan, Darlene and Jackie (still played by John Goodman, executive producer Sara Gilbert and the recently Emmy-nominated Laurie Metcalf). 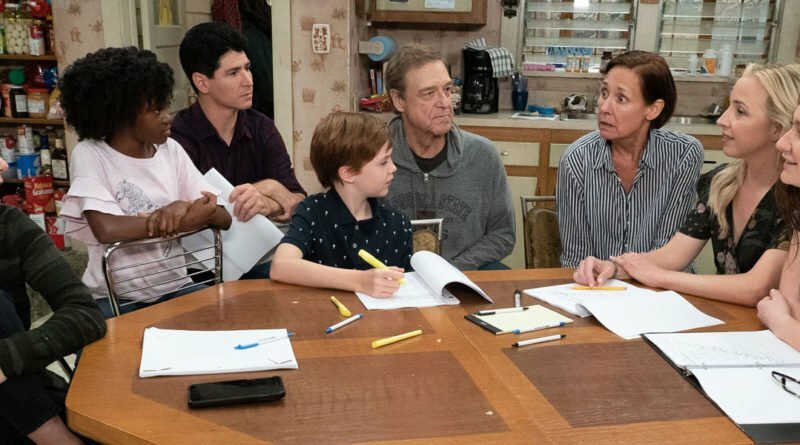 “The discussion of how many people would be out of work was among the first conversations after the cancellation, and that discussion evolved eventually into the idea of doing a spinoff,” confirms executive producer Bruce Helford, who was on the staff of the original “Roseanne” for its fifth season. He returned for the revival, and he maintains that carrying it forward with “The Conners” also was an easy creative decision.